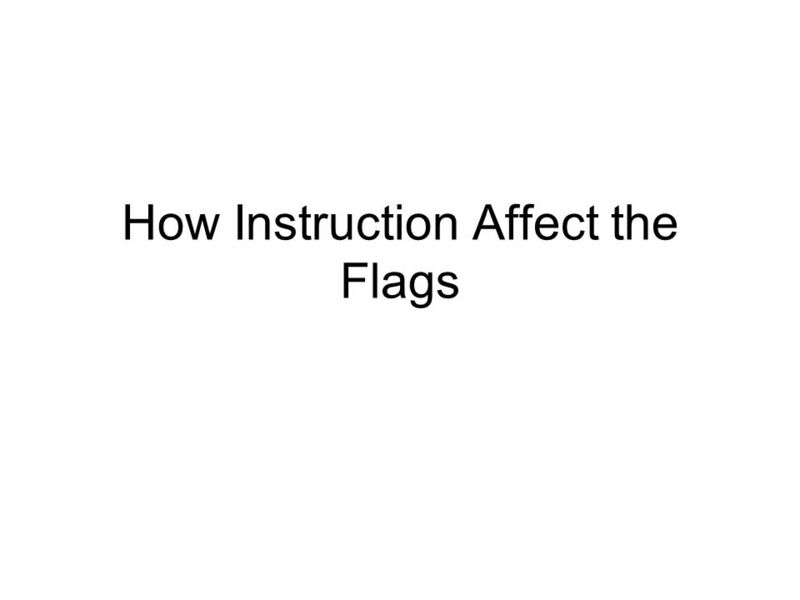 Download ppt "How Instruction Affect the Flags"
Registers of the 8086/ /2002 JNM. Introduction to Computer Engineering by Richard E. Haskell Multiplication and Division Instructions Module M16.4 Section 10.4. Intel Computer Architecture Presented By Jessica Graziano. 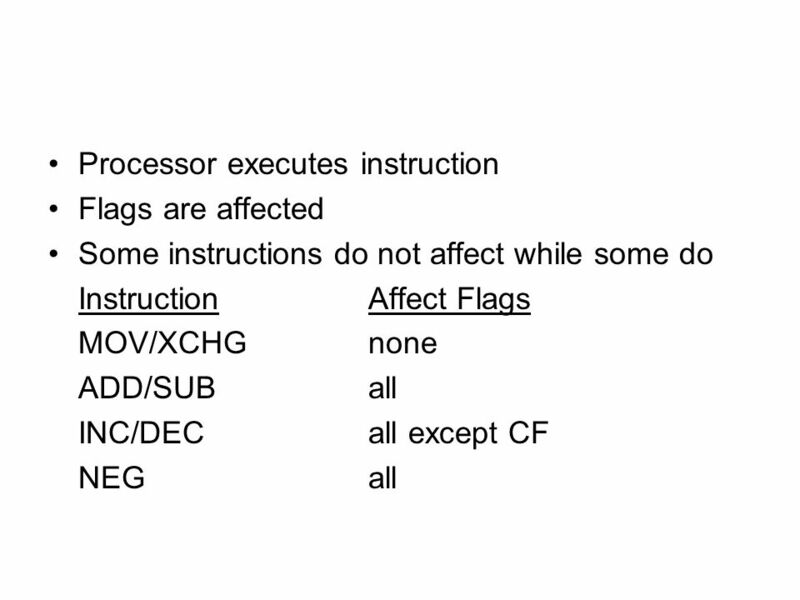 Microprocessor Systems Design I Instructor: Dr. Michael Geiger Fall 2013 Lecture 14 Compare instructions; conditional execution. 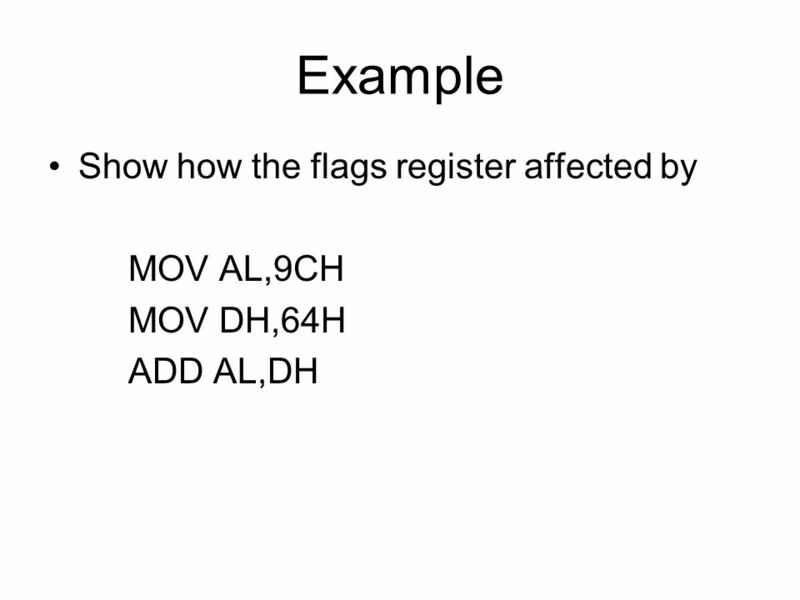 Assembly Language :CSC 225 (Lec#4: Flag Register and Conditional Statements) By Dr. Syed Noman. 8-1 ECE 424 Design of Microprocessor-Based Systems Haibo Wang ECE Department Southern Illinois University Carbondale, IL x86 Instructions Part. 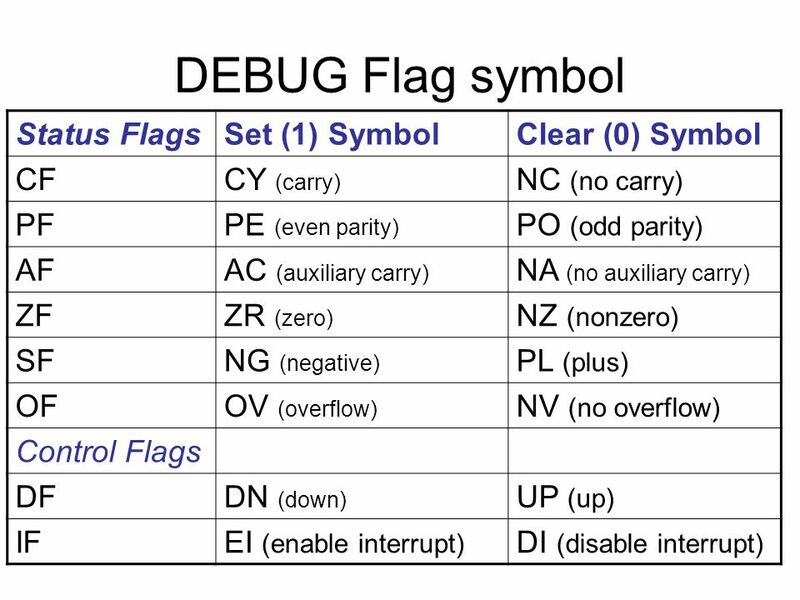 Microprocessor Systems Design I Instructor: Dr. Michael Geiger Fall 2012 Lecture 10: Flag control instructions Conditional execution. Chapter 4 Basic Instructions. 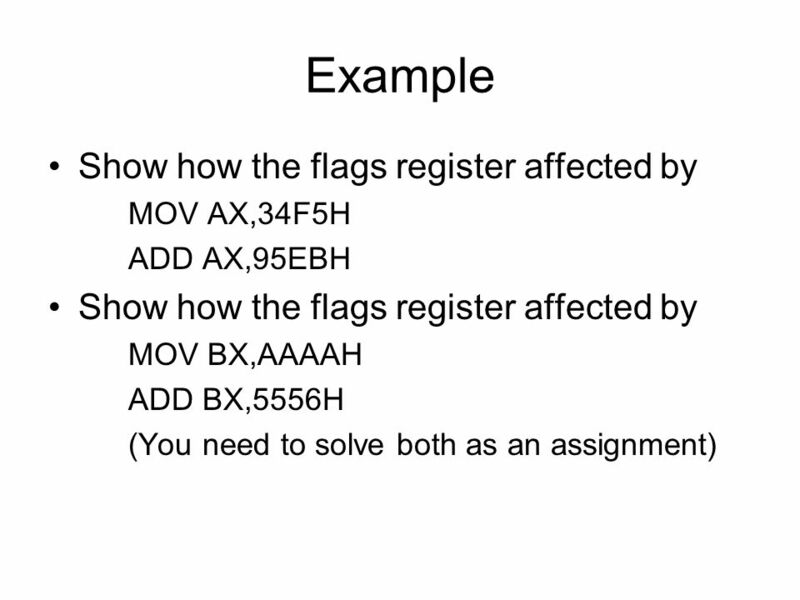 4.1 Copying Data mov Instructions mov (“move”) instructions are really copy instructions, like simple assignment statements. Ch. 5 from Yu & Marut. 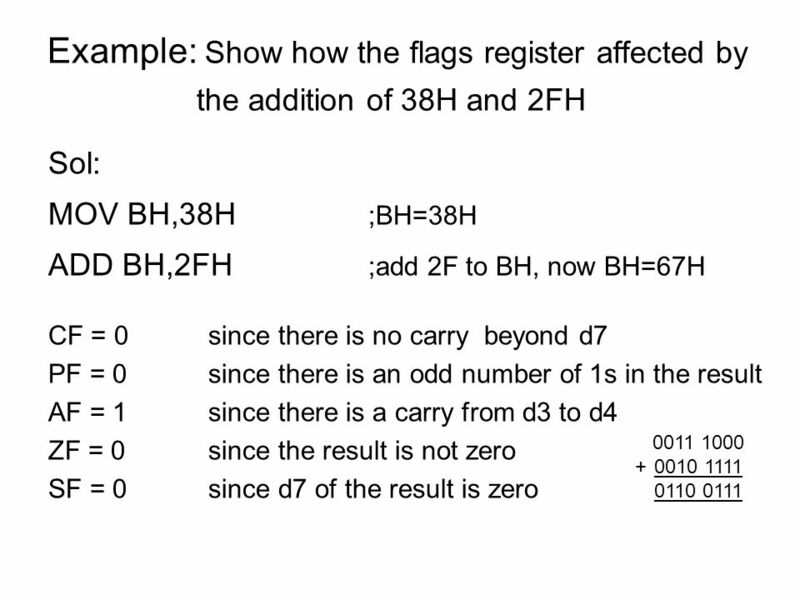 Registers 14(16-bit) registers: 1.Data reg. – to hold data for an op. 2.Address reg – to hold addr of an instruction or data. Gursharan Singh Tatla Block Diagram of Intel 8086 Gursharan Singh Tatla 19-Apr-17. EEL 3801 Part V Conditional Processing. 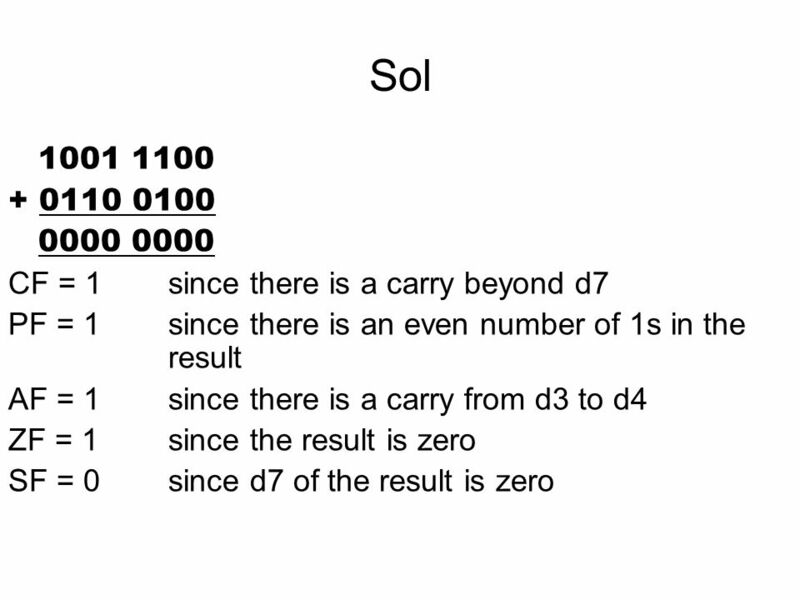 This section explains how to implement conditional processing in Assembly Language for the 8086/8088 processors.